GRANVILLE — For Michael Kilpatrick, the decision to become a Department of Agriculture Certified Organic grower came down to timing. There was a time when Kilpatrick felt the USDA program was tarnished by the influence of big politics and even bigger farms. And while the agency remains the target of such criticism nationally, the Certified Organic label is also the best-known of the many sustainable agriculture labels available to growers today. Though his farm carries the Certified Naturally Grown label from that organization, Kilpatrick said it was a continual challenge to market his farm’s produce even as he struggled to educate people about how his team grows the food. “Over the years, we just kept telling people, ‘Yeah, we produce everything according to the organic standards, but we’re not Certified Organic,” he said. The differences between certifications available for food produced with sustainable farming practices can be confusing. It often comes down to a matter of definitions. For instance, on the Kilpatrick Family Farm, leaves are composted into mulch to enrich the soil. But the USDA requires compost facilities to adhere to exacting specifications with regard to internal temperatures of the compost and the frequency with which the material is turned. But that standard is more appropriate for compost piles that include discarded food scraps. By characterizing his mulch as “leaf mold mulch,” the Kilpatrick Farm compost pile became compliant with USDA standards, Kilpatrick said. In addition to the Certified Naturally Grown designation, Kilpatrick Family Farm has also taken the Northeast Organic Farming Association of New York’s Farmer’s Pledge. 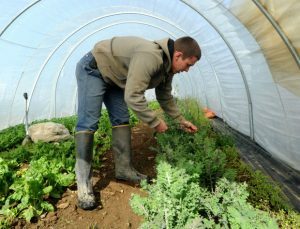 Kilpatrick has been using organic farming practices for years, so becoming USDA certified was easy, after he finished filling out the 50 or so documents required by the government program, he said. The inspection went smoothly and will only end up costing the farm about $500, after a USDA cost-share credit, he said. In the past, he had been quoted a cost closer to $3,000. 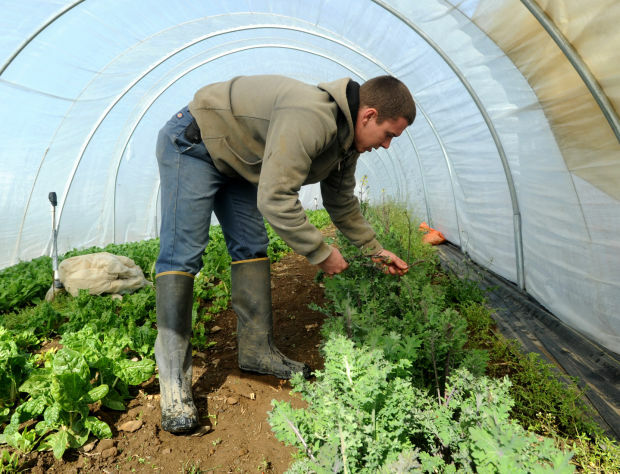 Read the full story via Grower takes next step in organic farming. ⇐ Will Vertical Farming Kill Monsanto Company and Help Whole Foods Market?